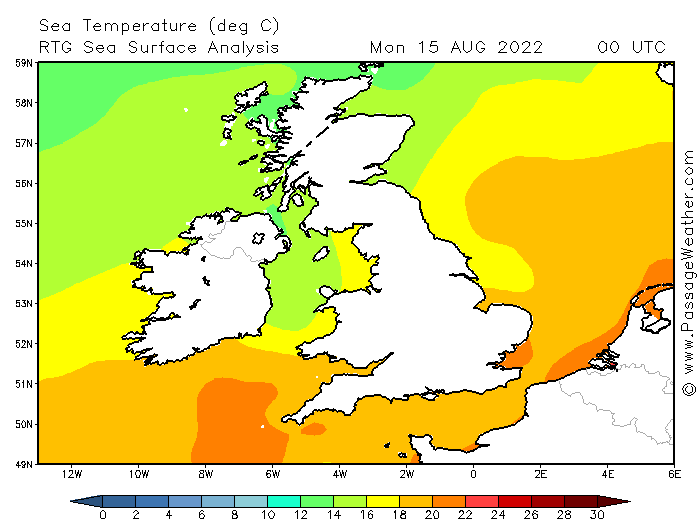 These charts display the temperature of the water at the sea surface. 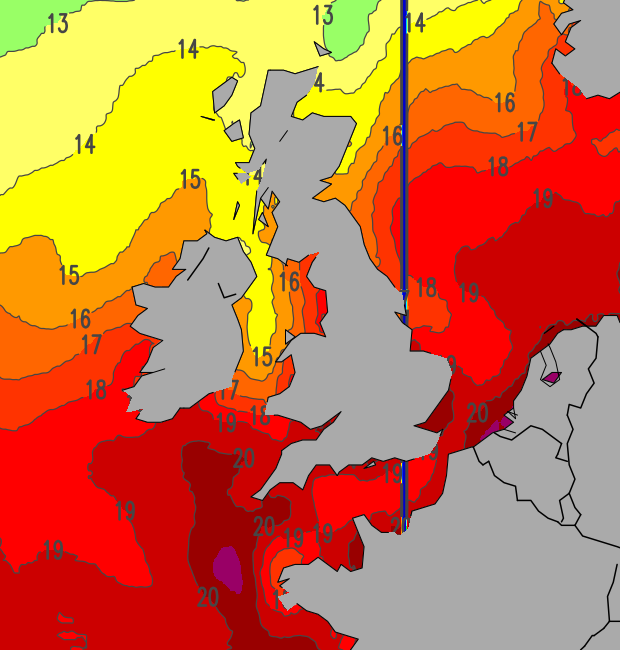 Sea surface temperature is simply the water temperature close to the surface. Direct observation was how this data was traditionally gathered (ie. using a thermometer!) with buoys and weather ships. Remote sensing with satellites is how most temperature data is measured these days. The area a satellite scans in two minutes would take a ship travelling at 10 knots 10 years to cover. 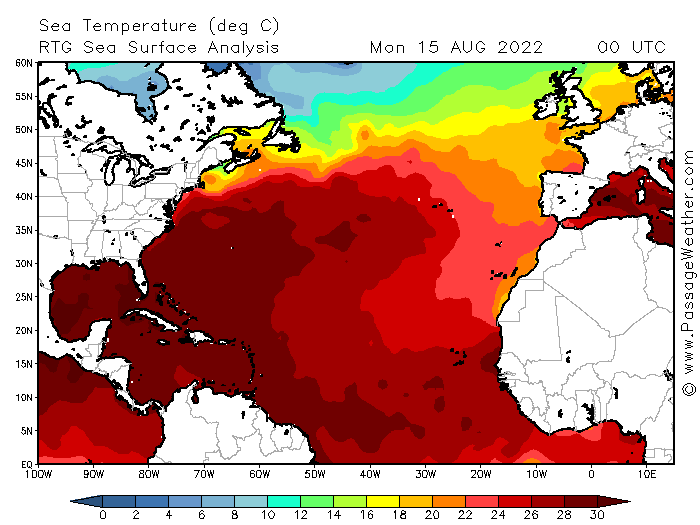 This clearly shows global phenomena such as El Nino, and the warm waters of the Gulf Stream flowing from the US towards Europe.